It is a collection of some rare and almost forgotten music from Co Cork and Co Louth, learned from Garry’s parents over the years, along with a couple of contemporary compositions. Much of the music largely originates from the playing of both his grandfathers, John Walsh of Drogheda and John Joe Fahy of Skibbereen. John Walsh from Drogheda, taught many kinds of music, but in particular Irish music on Flute, Fiddle and Piccolo. He would travel around Co Louth and Co Dublin teaching anyone who was interested. He was awarded a gold medal at the Belfast Feis Ceol in 1905. He had a vast repertoire of traditional music. He was a member of the Drogheda Brass and Reed Band, around 1912. And played with the Dominic Maguire band in the late 1930's. John Joe Fahy, Skibbereen, played the melodeon and featured at Dances and Fairs across West Cork when a young man. He uprooted his family twice during the depression, having to find work. He continued playing and like many an Irish immigrant musician that came to Manchester, unknowingly laid foundation to a now thriving scene. He also had a repertoire of old tunes and composed some lovely tunes himself. The album has been recorded with simplicity in mind, using acoustic instruments only. The music is played with a natural, yet modern feel and is refreshingly traditional. Some arrangements are deliberately kept simple, to allow the true sprit of the music to be captured. One or two tracks have no accompaniment at all, enabling the true force of the music to shine through. Some have strong rhythms, thus presenting light and shade between tracks and all have their own identity and texture. The idea was to produce an album of clarity, removed from technical wizardry. One that attempts to discover each tunes past musical spirit, connecting that to the player’s soul and bringing out the very essence of this fine music. Claire Fitzpatrick, comes from Waterford. She plays fiddle and is a former All Ireland winner. Johnny Neville plays guitar and is an accomplished singer / song writer from Cork. The one time member of popular band ‘North Cregg’ is in great demand as an accompanist and has made several albums with North Cregg and guested on countless others. Dave Hennessy, from Cork, is widely regarded as one of the best player of melodeon, noted for his swing style. Has composed many tunes many recorded by some of Irelands top players. ( Sharon Shannon etc) Former member of ‘Any Old Time’ has recorded with them and on many albums. Colm Murphy, from Cork, plays bodhrán with De Dannan and is acknowledged as one of the best bodhrán players on the traditional scene. His highly acclaimed CD An Bodhrán was a best seller. 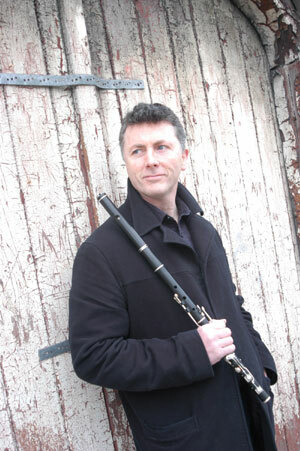 Garry Walsh plays flute and whistles and was brought up in Manchester. Now living home in Cork. His father is from Drogheda and mother from Cork and learned his music from them. Both his great - grandfathers, his grandfathers and father played traditional music and much of his music originates from the family reportoire. Has now completed his debut album Uncovered on the Ossian label, which contains forgotten but not lost music from Counties Louth and Cork. Currently receiving excellent reviews. UNCOVERED is available from www.ossian.ie, www.osssianusa.com, or http://www.celticgrooves.com in the US.